Who is Quartz? They’re a band from the late 70’s that Tony Iommi produced, and their most notable member (to Black Sabbath fans anyway), is Geoff Nicholls. 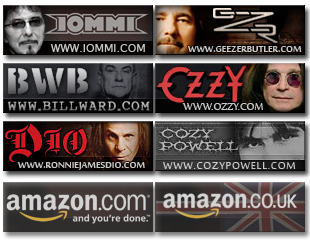 The guy who played keyboards on 10 studio and 3 live Black Sabbath albums from 1980 through 2004. When he was brought in in 1979 to work on the Heaven & Hell album in place of Geezer Butler, it began a long streak of work with Geoff. 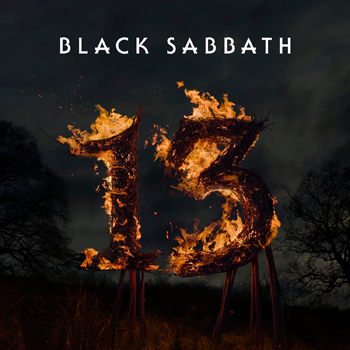 After he and Sabbath parted ways after the 2004 tour, he played with Tony Martin’s solo band for awhile. I wrote Geoff today and asked him if he was involved in the new Cage album Martin’s on, and he said he wasn’t. So I asked him what he’s up to, and he told me that he’s semi retired these days. 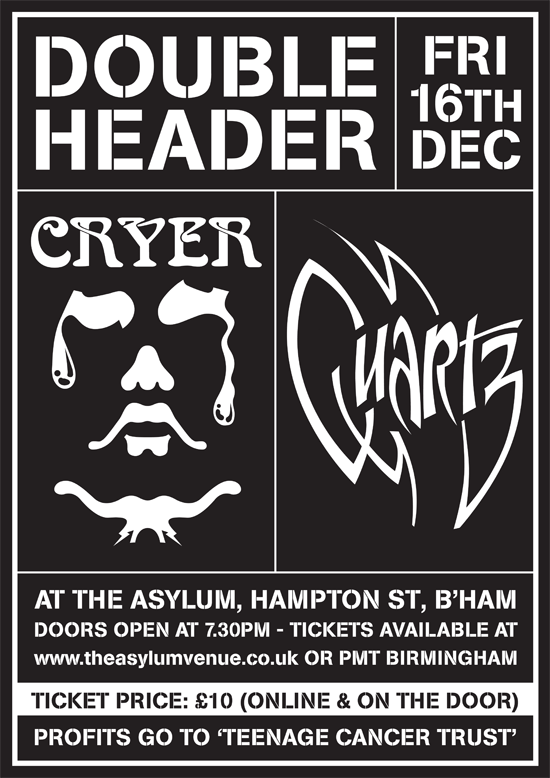 However, he has been rehearsing with the Quartz guys, and there will be a one-off charity gig in Birmingham on December 16th with another band called Cryer. If you’re in the Birmingham area around then, you should check it out. It’s a charity gig benefiting “Teenage Cancer Trust”, and costs just £10, so you should go check it out. Below is some press on the gig, as well as a promotional video for you to check out. Also at the bottom is a copy of a poster/flyer for the gig. You can look at it below, and also download a pdf of the thing if you want to print it out yourself and spread the word. After the success of last years Cryer reunion, the band has managed to persuade one of Birmingham’s greatest rock bands Quartz to join them in a double header. Quartz and Cryer last played together at Digbeth Civic hall in Dec 1979 where Quartz recorded the performance and released it as a live album, Quartz also toured with Black Sabbath, AC/DC, Rush, and many more. Their first album `Quartz’ released 1977 on Jet records was produced by Tony Iommi, good friend and mentor to the band, who in 1980 invited Geoff Nicholls to join Black Sabbath where he spent well over 20 years. Now there back together for a reunion gig with Cryer, whose 2 gigs last year went down a storm, remembered for stunning vocals from Graham Careless, sparkling guitar solos from Huwey Lucas and a polystyrene head that would not blow up. So join us and see two of Brum’s best loved rock bands on a very special night, don’t be one of the ones that didn’t make it, be there and enjoy the nostalgia, the show and the music, this will be a sell out so don’t leave it too late, get your tickets early.